Ladysmith is located in the Northern Drakensberg. Ladysmith made world headlines at the end of the 19th century when it was besieged for 118 days during the Anglo-Boer/South African War. Much of its history is now offered as a tourist attraction in Ladysmith. Almost halfway between Johannesburg and Durban, Ladysmith is the ideal place for a midway stop-over although it is a little off the N3. Whether for a few nights or just a few hours – Ladysmith offers a rewarding experience to all its visitors. Ladysmith is agateway to the Central Drakensberg and Northern Drakensberg. Horse trails are offered by Biggarsberg Horse Trails. The Spioenkop Dam offers excellent opportunities for fishing where species such as barbell, carp, scalies, bluegill and tilapia can be hooked. Spioenkop Game Reserve offers wildlife including white rhinoceros, giraffe and a variety of plains and bushveld antelope. The abundance and variety of species assures visitors a rewarding game experience. Horse trails through the Spioenkop Game Reserve are also offered. Elephant Rock Private Safari Lodge Lodge accommodation in Ladysmith. Superbly sited overlooking a waterhole, Elephant Rock is a charming boutique safari lodge offering luxury accommodation for up to 10 people. Bokmakierie Country Lodge Bed and Breakfast,Self Catering accommodation in Ladysmith The Bokmakierie Country Lodge is set in tranquil surroundings at the edge of Ladysmith, overlooking the Country Club golf course, acres of barren land, and a variety of wildlife. LELO’s BED AND BREAKFAST accommodation in Ladysmith. We are centrally located in Ladysmith and are a walking distance from CBD, and only 400m from the N11 road. We give our guests special attention as we are owner operated establishment. The Royal Hotel Bed and Breakfast,Hotel accommodation in Ladysmith. Elegant, tastefully-decorated, air-conditioned rooms that contain an extensive array of facilities. Known far and wide for our service and attention to detail, we offer excellent conferences and banqueting facilities. Buller’s Rest Lodge Self Catering,Lodge accommodation in Ladysmith. This charming country-style, thatch home offers bed and breakfast and dinner on request in a friendly, family atmosphere with beautiful berg views from a magnificent sun deck overlooking Ladysmith. Platrand Lodge Lodge accommodation in Ladysmith. All 4000 hectares of the farm are fenced for the 17 different types of game, although the main activity is breeding of Brangus cattle. Durnford’s Lodge Lodge accommodation in Ladysmith. Durnford’s Lodge is a “Bed & Breakfast” Guest House Style, situated at 28 Francis Road, Ladysmith – close to the C.B.D, yet away from the drone of everyday shopping and traffic. Royal Country Lodge Lodge accommodation in Ladysmith. Thatcher’s Country Guest House Bed and Breakfast,Guest House accommodation in Ladysmith. Thatcher’s Country Guest House is a magnificently thatched homestead situated in the serene splendour of the Biggarsberg in Northern Kwa-Zulu Natal, and offers a tranquil and distinctive getaway. 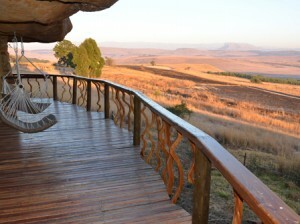 Zintulo Private Safari Lodge Bed and Breakfast,Lodge accommodation in Ladysmith. A rustic yet sophisticated safari lodge, Zintulo Safari Lodge offers wrap around views of the spectacular lower lying areas of the Nambiti Conservancy. Zintulo Safari Lodge is set apart due to its dramatic and spectacular location. Budleigh House Bed and Breakfast accommodation in Ladysmith. Set in a large park like garden with shaded seating for relaxation after a long day. Luxury accommodation is offered with full scrumptious English breakfasts. Trenchgula Game Farm & Guest Lodge. Self Catering,Lodge,Guest House accommodation in Ladysmith. In a peaceful game farm setting, Trenchgula Game Farm & Guest Lodge a luxury 4 star quality guest lodge lies nestled below the war graves of the Anglo-Boer War on top of the Trenchgula Hill. Antbear Guest House Activities in the Drakensberg South Africa Ladysmith was involved in heavy fighting with the Boer Army and offers a few worth while sites to visit. 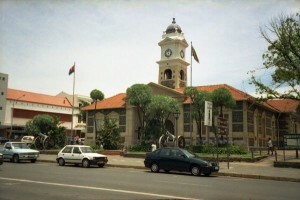 Ladysmith – Ladysmith is the natural gateway to the tourist delights of the Central Drakensberg and Northern Drakensberg. Ladysmith – The town of Ladysmith on the banks of the Klip River – proclaimed in 1850 – was named after the Spanish wife of Sir Harry Smith.